CSols powerful laboratory software solutions have been designed to improve laboratory efficiency, reduce laboratory costs, turnaround times and transcription errors. Consequently, this will help improve traceability, regulatory compliance, analytical performance and ensure quality lab results. We have been interfacing laboratory instruments, LIMS and IT / Corporate data systems since 1990 and producing handheld solutions since 2008. We have devised a series of software application packages that are being used routinely to improve laboratory efficiency in many laboratories across the world. We can help guide you ‘Beyond the Technology’ that you are using in your laboratory to provide you with solutions that will improve efficiency, streamline your lab procedures, reduce your analyst’s administration burden and help you meet your improvement goals. Instrument and Laboratory Systems Integration software helps maximise your investment in instrumentation by helping analysts easily interact with their instruments and report quality lab results. Analysts are easily able to review the result data being produced rather than relying on tedious manual entry or complex file conversions. Are you collecting planned or ad hoc samples and field based measurements? 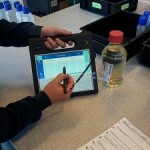 Do you need a Mobile Data Capture System that sends data straight back to your LIMS? 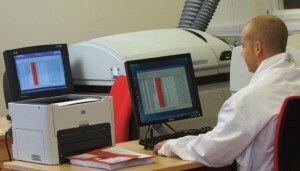 Please let us know how we can best help you to find a solution that improves your lab efficiency and meets your requirements by sending us your questions via our enquiry page or telephone: +44 (0) 1928 513535 or email us at: enquiry@csols.com for no obligation advice. Additionally, for possible collaboration please also visit the companies Enterprise Europe Network profile at EEN.